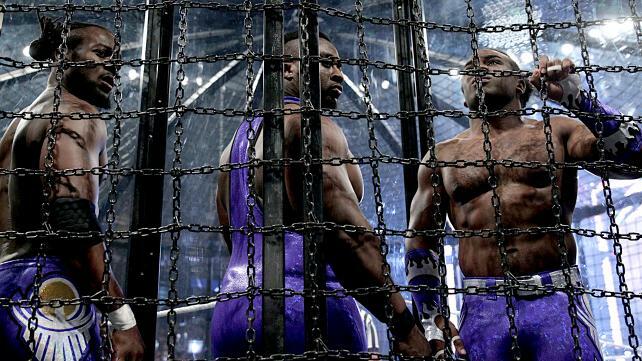 WWE Elimination Chamber 2015 is out on DVD now, available from wwedvd.co.uk and all other reputable DVD stockists. Broadcast live on the WWE Network from the American Bank Center in Corpus Christi, Texas, USA on 31st May 2015. 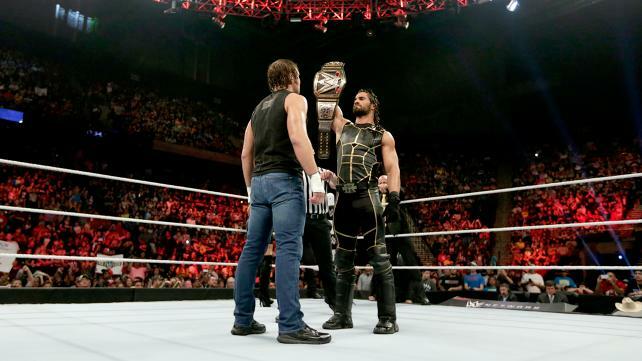 The show features Seth Rollins defending the WWE World Heavyweight Championship in the main event against Dean Ambrose. There's also five other matches featuring the likes of Cesaro, Kevin Owens, Kalisto, Neville and Paige in action with two Elimination Chamber bouts on the card. The Intercontinental, WWE Tag Team aThe entrancnd Diva's Championships are also up for grabs. The disc includes over ten minutes of special features, including one further match. Michael Cole, Jerry Lawler and John "Bradshaw" Layfield provide the commentary. Due to starting off with an Elimination Chamber this DVD is slow to get into the action, taking over ten minutes before the first bell rings, but if you're a fan of entrances you'll be buzzing here. The first Elimination Chamber of the night features The New Day defending the WWE Tag Team Championships against The Lucha Dragons, The Ascension, Tyson Kidd & Cesaro (with Natalya), Los Matadores (with El Torito) and The Prime Time Players, in what is by far the better of the two Chamber matches on offer here. The novelty of this being the first tag team Chamber certainly helps things along, creating a good spectacle, whilst the creativity of guys like Cesaro and Tyson Kidd also add to the enjoyment here. A Triple Threat bout for the Nikki Bella's Diva's Championship, including Naomi and Paige, has plenty of good ideas but is plagued with mistakes and plays out in front of a dead crowd. The crowd wakes up for a classic Champion vs. Champion contest between Kevin Owens and John Cena, as the pair load the bout full of action from start to finish. The match is a back and forth affair that heralds Owens' arrival in WWE in style, with plenty of big moves and big near falls. It's a match that Neville and Bo Dallas struggle to follow, as they go through the motions in a pretty dull contest. Mark Henry being revealed as Rusev's replacement in the Elimination Chamber match for the Intercontinental Championship is the highlight of the six men's expeditions to the ring. In all honesty things don't get much better from here on out as the contest, that also involves Dolph Ziggler, King Barrett, Ryback, R-Truth and Sheamus, put on the worst Elimination Chamber in history, by quite some way. The bout is full of botches, and quickly descends into utter chaos as those in the ring try to work out how to cover up a truly horrendous blunder. With no sense of urgency, the match plays out in front of a dead crowd who clearly couldn't care less who walks out of the Chamber with the title and you'll feel that way too once this one is over. 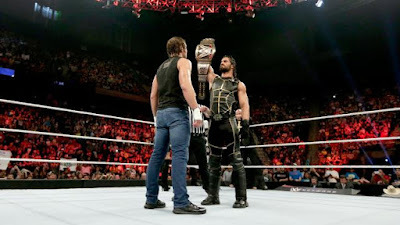 It's a good job that WWE decided to opt with Seth Rollins (with J&J Security and Kane) defending the World Heavyweight Championship against Dean Ambrose as it's main event then, as the former Shield pals work a pacy and exciting contest, that shows off the pairs in-ring chemistry well. The finish isn't too my personal tastes, as it negates any previous build up in the match, and comes out of left field, but I'm sure there will be plenty who got a kick out of it. The show closes with an appearance from Roman Reigns, which is all well and good, and offers some storyline development to lead us into WWE's next full show DVD offering, Money in the Bank (Out 24th August 2015). A short contest between Stardust and Zack Ryder is included on the Special Features and whilst it's decent enough, there's no rhyme or reason for it taking place. Kevin Owens vs. John Cena and Seth Rollins vs. Dean Ambrose are probably worth buying this event for on it's own, and whilst the Tag Team Elimination Chamber also has it's moments and is an interesting novelty, everything else on the card is either completely miss-able or painful to watch. The Intercontinental Elimination Chamber may be the most botched match on history and certainly doesn't benefit from a second viewing. Payback from two weeks before is a much better show from top to bottom, but lacks the quality of a Owens vs. Cena or Rollins vs. Ambrose. So, if you're after big matches go for this release, however if you want a more comfortable three hour watch then Payback should be your choice.